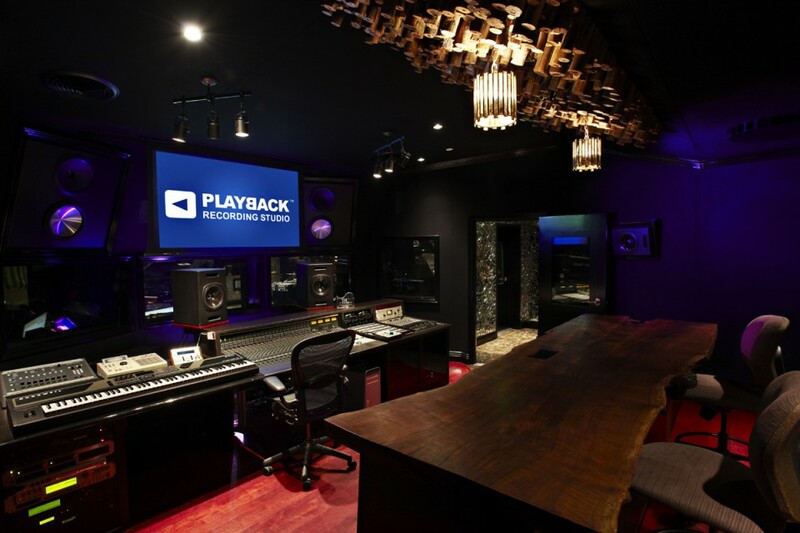 Playback Recording Studio is a one-stop shop for all of your professional recording needs. Our studio is on par with the best in the business, and we also offer an affordable writer’s rooms to help you achieve your creative your dreams! 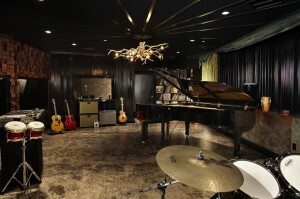 The spacious, but seemingly intimate 700 square foot main Live Room has flawless sight lines to the control room and all other isolation rooms. It has custom built diffusers made from entirely reclaimed black walnut wood. 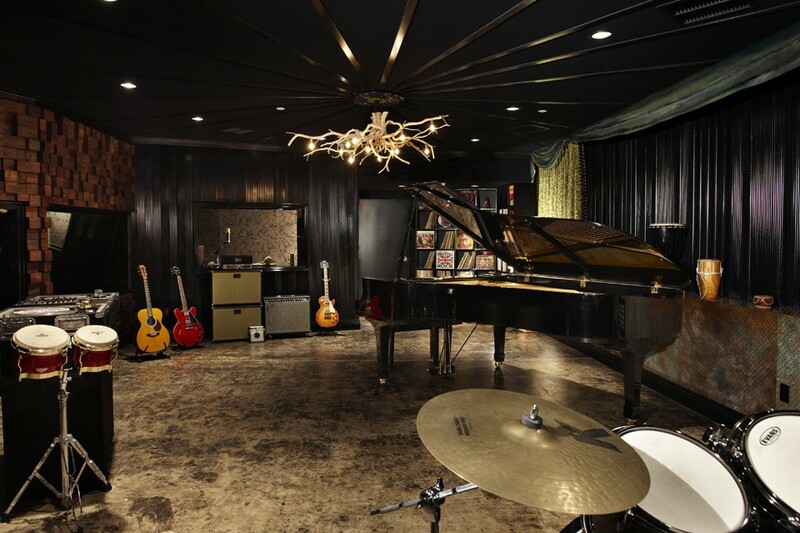 The Live Room also boasts Chris Pelonis designed edge traps in the ceiling, as well as a perforated copper bass trap with a custom retractable curtain, which facilitates impeccable achievement of variable acoustics. This space is great for the recording of a four-piece band to a fifteen-piece orchestra comfortably. The 200 square foot ‘Dead’ isolation chamber rids the recording environment of natural reverberations. 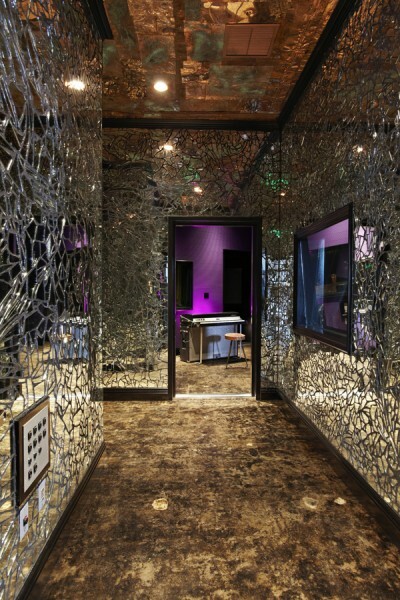 The room is surrounded by sound tested fabrics that remove the unwanted frequencies and creates a “tight” sound in the recording. 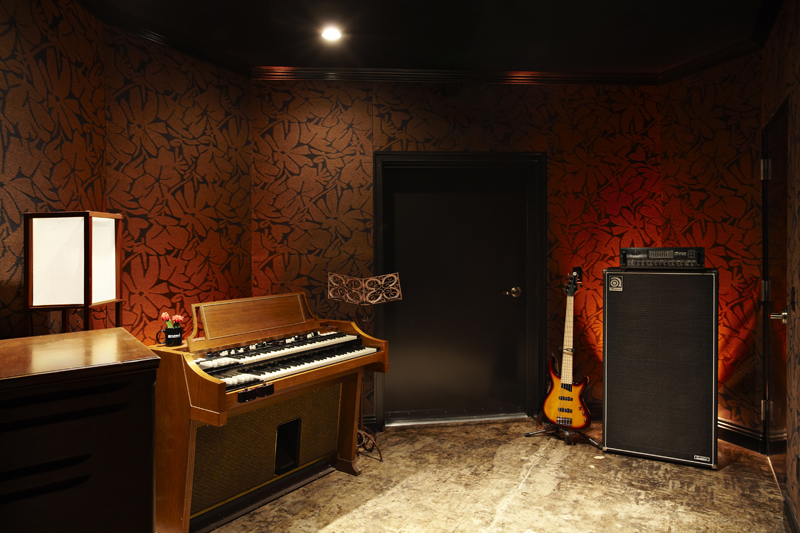 Isolation Lock #1 is ideal for recording bass guitars, Hammond B3 organs, and drums. The 250 square foot drum isolation booth incorporates Topakustik a hardwood molding that provides flutter echo control. The room also possesses a one of a kind FlutterFree® wave that adds for a comfortable ambiance, and a brighter sound that expands far beyond fabric upholstered surfaces. The ceiling is mounted with a Skyline® diffuser that minimizes acoustic glare in all directions, and offers an aesthetically pleasing environment and tonal quality. The Drum Isolation Lock’s clean, bright sound is great for tracking percussion, acoustic guitars, and drums. The jewel box of Playback Recording Studio is the one of a kind Echo Chamber intended to create authentic live sounds. The walls are entirely covered in hand-broken, custom broken mirror mosaic. The ceiling is finished with artistically collaged sheet copper. Raw concrete floors also add to the reverberation of the room. 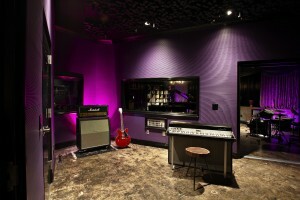 This 100 square foot room is perfect for tracking vocals, hand drums, and acoustic guitar. The 500 square foot control room was built and turned around the mix position of the Pelonis Signature Series main monitors, providing an even delay time and precise listening from anywhere in the room. Above the sweet spot is another Skyline® style diffuser is interpreted in hand cut, round logs. In addition to a Producer’s Station that houses a five-bay rack of state of the art, and vintage gear, Ample seating in the back of the room to comfortably accommodate clients. This custom seating doubles as a bass trap and features a unique tree trunk detail that compliments the wood treatments throughout the studio. The lounge was built with the client in mind. 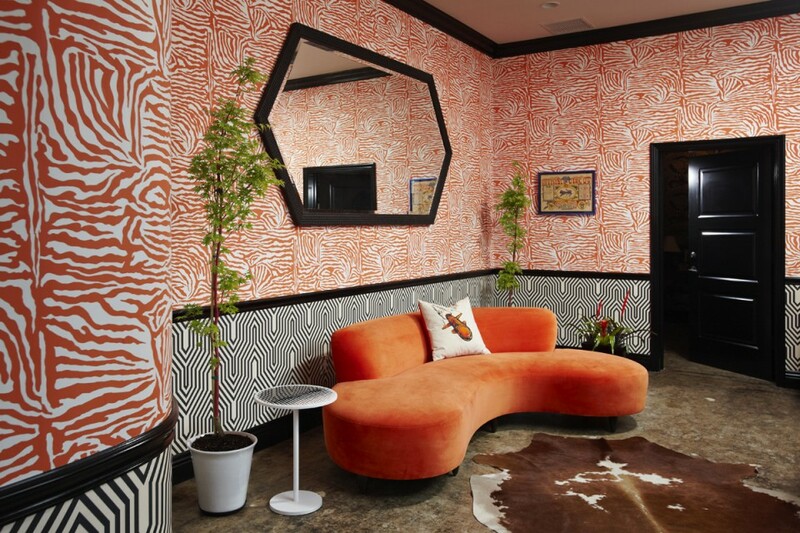 It has remote curtains, high ceilings, and retro furniture with a bright psychedelic, energetic design. 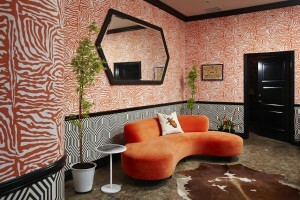 The lounge provides the artist a comfortable and creative environment that promotes a relaxed frame of mind. The room includes Wi-Fi Internet throughout, HD satellite television, surround sound, Blue-Ray, Playstation 3, and refreshments.